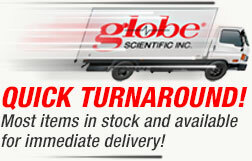 Globe Scientific's headquarters are located in Mahwah, New Jersey, near all major NJ and NY trucking routes and shipping ports. We offer the broadest line of laboratory consumables available from any one source, with stock of 3000+ items available for immediate shipment. Many of our products can be private labeled, specially packaged and customized to suit your needs. Please inquire about our special services. 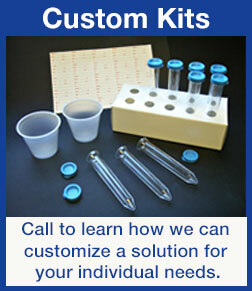 At Globe Scientific, the needs of our customers are paramount. Our goal is to provide each customer with high quality products, outstanding service and innovative solutions. We are able to do this in an ever-changing marketplace, while maintaining the cost competitiveness of our products. Our Sales and Products teams are technically trained and are eager to assist you. We invite you to contact one of our USA or International Sales Representatives at (201) 599-1400 to discuss your lab supply requirements. We welcome customers from around the world and look forward to being your primary source for laboratory products.